There are tons of myths about beards, beard culture and beard growth ranging from the plausible to the absurd. Some of them are harmless if you choose to believe them, while others can have negative health impacts. The Greek king of the gods, Zeus, is always displayed with a lush beard in mythic iconography. Does your beard keep growing after you die? One common myth about hair growth in general—including beards—is that hair grows after you’re dead. This is false. Hair is made out of keratin, which can only be produced by living organisms. But why does the hair of long-dead corpses appear longer, you may ask? (Seriously, how would you be privy to such information?) The answer is surprisingly simple: Most environments cause moisture and soft tissue to dissolve away from the corpse, resulting in skin that lies tight against the bones, which makes hair appear as though it has grown after death. This myth is linked to vampire mythology, in that people used to take post-mortem hair growth as a sure sign of vampirism and deal with the undead fiend accordingly. 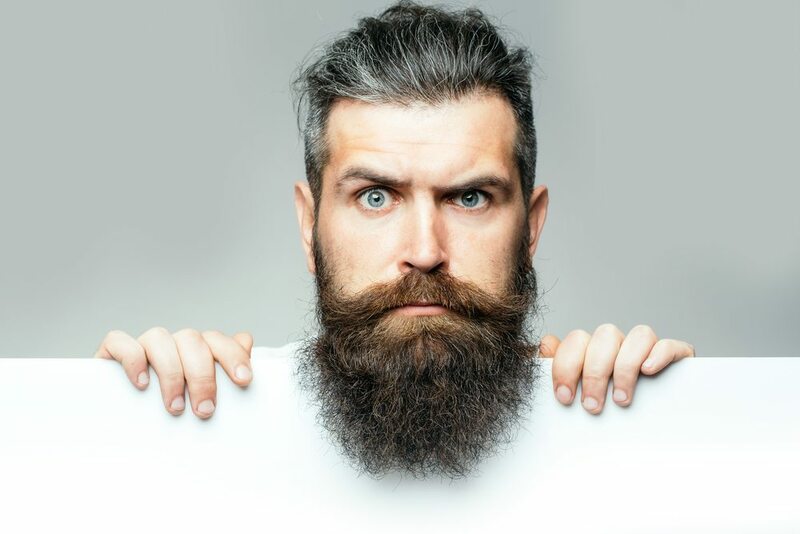 By far the most common myth in the present day revolves around the fact that if you ingest keratin (in vitamin or some other form), your beard will grow longer. In other words, that somehow keratin you take in can be transformed into beard hair. This is flat out false. There are better ways to grow a beard than ingesting keratin on a daily basis. Seriously, ingesting keratin is like eating the horns off of this Regal Horned Lizard. Yummy. Also, while keratin is mostly harmless to ingest, in enough quantities, it could have the same intestinal-blocking effects as hair itself. Girls who chew their hair are most prone to getting these very special bowel blockages, but it could theoretically happen when one eats tons of keratin. Bottom line: While ingesting small amounts of keratin isn’t going to kill you, the notion that keratin supplements increase hair growth is pseudo-science and akin to eating your own fingernails. Full of poop or not? Another prevalent beard myth is that big bushy beards are almost always full of poop. While it sounds tempting to some to believe such a horrible thing, this is actually false as well, according to Snopes, who pretty handily debunked this myth. As long as you cleanse your beard and wash your hands after you take a dump, your beard will likely be poop-free. Finally, a very important beard myth to debunk is one that likely affects most guys at some point in their lives, and the decisions they make about beard growth as a result: the myth that having a beard will make you feel too hot, especially in summer. This myth is 100% false; in fact, beards keep you cooler, much like wearing a light-colored loose-fitting T-shirt does on a hot, sweltering summer’s day.